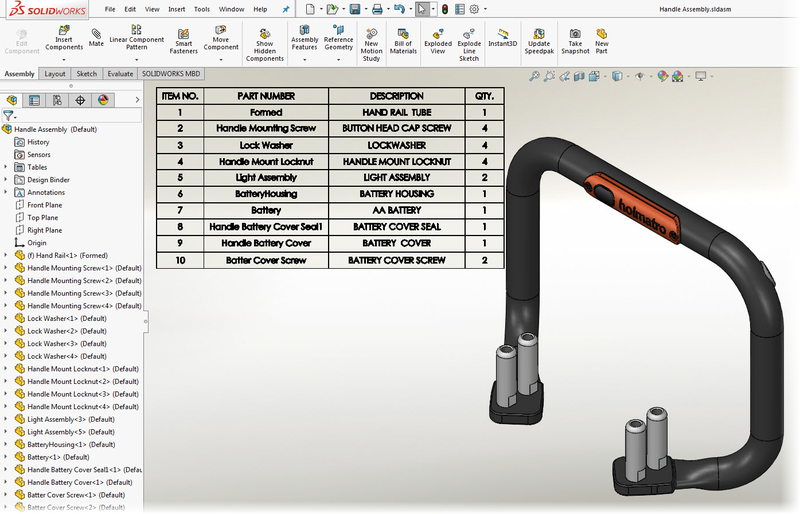 With the latest version of SOLIDWORKS Composer, you can now import SOLIDWORKS Bill of Materials (BOM) directly into SOLIDWORKS Composer. 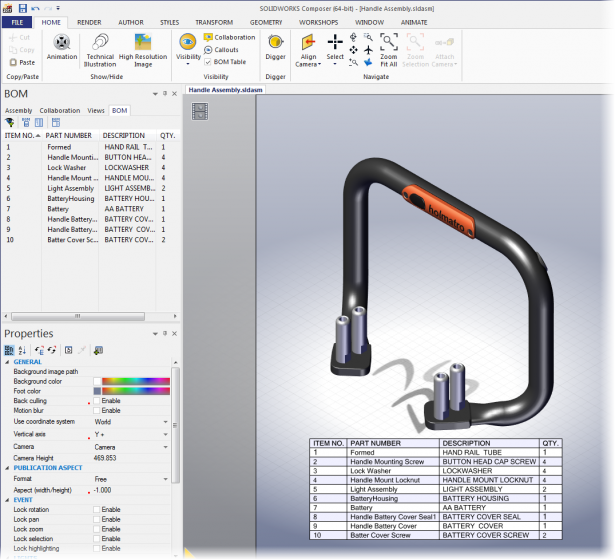 This means that you can repurpose even more of your 3D CAD data and save more time when creating technical communication content. In the ‘FILE’ > ‘Open’ dialog, select a SOLIDWORKS part or assembly which includes a Bill of Materials. 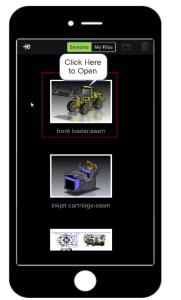 Select the ‘SOLIDWORKS’ options, then select the ‘Import SOLIDWORKS BOM’ checkbox. After the import, you can see that a BOM is automatically generated in SOLIDWORKS Composer. 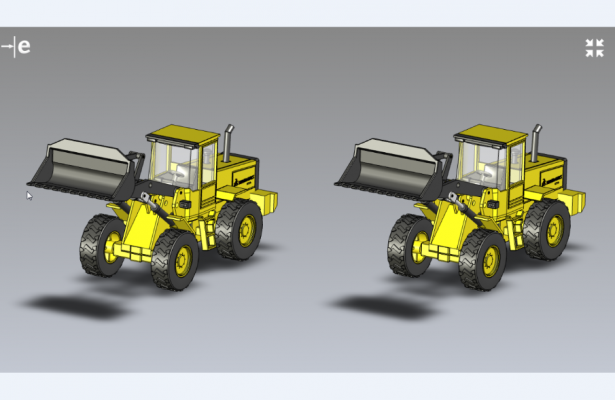 The Composer BOM contains the same data as the SOLIDWORKS BOM. The Import SOLIDWORKS BOM functionality is available in SOLIDWORKS Composer 2017 SP3 and later versions. Other enhancements in SP3 include automatic import of SOLIDWORKS appearances and textures. Some of you have already been explosed to the Augmented Reality (AR) of the eDrawings app or have enjoyed product design using AR. 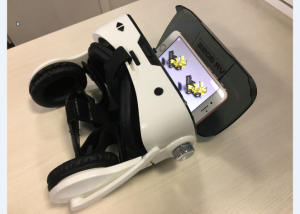 But for the rest of us, just know that SOLIDWORKS 2017 enables you to experience 3D CAD data in virtual reality using either the eDrawings iOS app or the Android app. In simple terms, Augmented reality (AR) is a live direct or indirect view of a physical, real-world environment whose elements are augmented (or supplemented) by computer-generated sensory input such as sound, video or graphics data. What do you need to experience Augmented Reality with eDrawings? Google Cardboard is the least expensive way to dip your toe into virtual reality. And Cardboard viewers are designed to work with nearly any smartphone. Similar to other Cardboard apps, the AR function of eDrawings mobile generates two images of the object being viewed, with a slight offset to account for stereo vision, making the object appear three-dimensional. 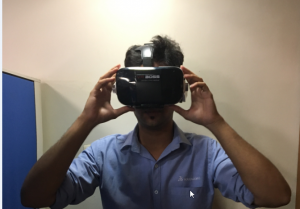 Convex lenses in the Cardboard headset resolve the two images into one and make it appear farther than a few inches in front of your eyes. The accelerometers in the phone also track movement, so the object moves and rotates, changing your perspective as you move your head. What is the procedure to view eDrawings with AR? Wear you device and gets ready to experience your CAD data in AR. Viewing a model in eDrawings virtual reality allows you to add an extra layer of immersive realism to your design, using the movement of your head, rather than your finger, to manipulate the model. 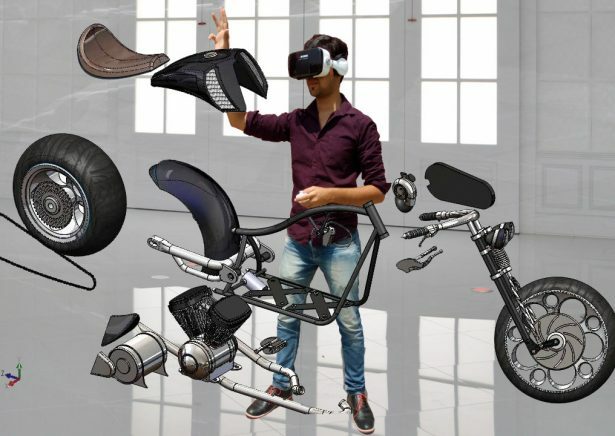 It would be very impressive to demo 3D models of products to clients, where they can interact with them in VR space. 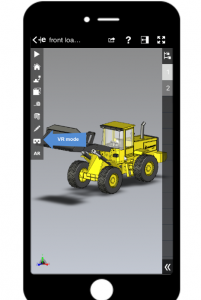 VR is available only with the professional version of the eDrawings app, for both Android and iOS systems. Some of the most remarkable fields where AR in eDrawings can be applied are architecture, construction and furniture. In these cases, CAD images of a structure can be superimposed into a real life local view before constructing the physical building. AR is also very helpful in industrial design because it can help designers experience products’ designs and operations before completion. Last month, Reza discussed the topic of FEA with an Engineering View. This month, Omar discusses the topic of basic failure analysis. Next month, Reza will come back and discuss the topic of Accuracy and Convergence. Why is SOLIDWORKS graphical performance slow with Windows 10 after Windows Update? Windows update might have automatically installed a new NVIDIA graphics driver on your Windows 10 system, the affected driver versions are 376.53 or 376.54. Please verify the graphics driver version from System Information or Device Manager. SPR#1006822 – General Stability Hotfix to address crashes when CTRL+Q operation is performed on weldment assembly with weld beads. The hotfix for this issue is included in the attachment of Solution Id: S-073024. This issue is addressed in SOLIDWORKS 2017 SP3. Is the SOLIDWORKS® software supported for use on Microsoft® Surface devices? The SOLIDWORKS® software does not officially support the use of Microsoft® Surface devices because those devices do not include CAD system graphics. However certification tests, showed the Surface Book run the SOLIDWORKS software capably. For more detailed information, see Solution Id: S-072859. In the SOLIDWORKS® PDM software, how do I control the number of pending tasks that a task host will process and place in ‘Starting up’ status? By default, a SOLIDWORKS® PDM task host polls the file vault database every 30 seconds and starts processing all available tasks with the status ‘Waiting for host’. In SOLIDWORKS PDM 2017 , too learn how to control how many pending tasks a task host can queue up when polling the vault database, follow the steps in Solution Id: S-072642. How do I manually calculate the ‘Acoustic Power’ and ‘Acoustic Power Level’ to validate the values given by SOLIDWORKS® Flow Simulation? The foundation to such a hand calculation is to follow the explanation and equations given in the “Noise Prediction” topic of the Online Help. When I enter an evaluation (EVAL) serial number in the SOLIDWORKS® Installation Manager, why do I see the error ‘Your serial number does not entitle you to SOLIDWORKS Plastics…’? 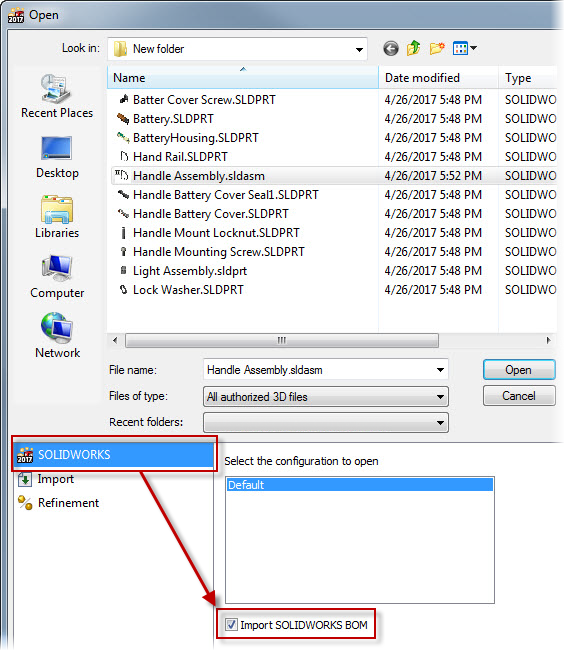 This error message indicates that the evaluation (EVAL) serial number you are using was issued as a SOLIDWORKS® Premium CAD serial number, with SOLIDWORKS Plastics as an Add-In asset. This means that you do not enter this EVAL serial number in the ‘Simulation’ section of the Installation Manager because it is a CAD serial number. Instead, you must enter this EVAL serial number in the ‘3D Design’ section for the ‘SOLIDWORKS Standard, Professional, Premium or SolidNetWork License’ option.